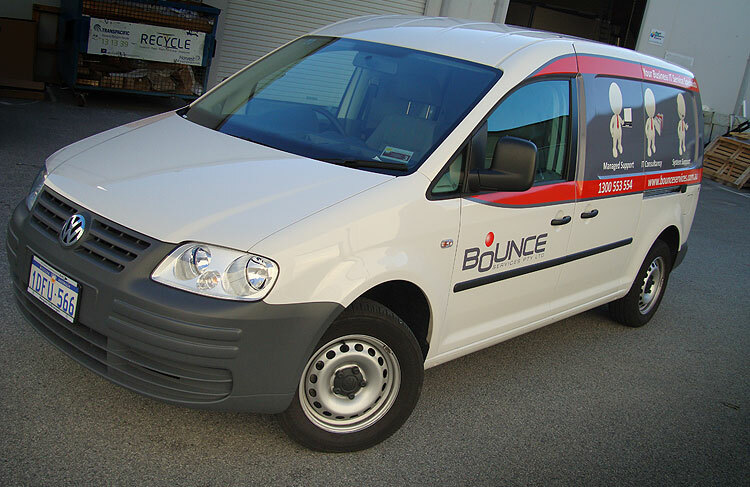 The Volkswagen Caddy is another vehicle which is perfect for signwriting. It has large, blank sides which enable advertising to stand out without having door handles or cutout sections detracting from your message. Bounce Systems, another loyal Perth Graphics Centre customer, approached us to put their logo on this VW Caddy, and using a combination of vinyl and digital print, we’ve wrapped the sides in grey and overlayed the small “men” that comprise their logo. The grey was a special colour, so we digitally printed it and overlaminated it for protection. 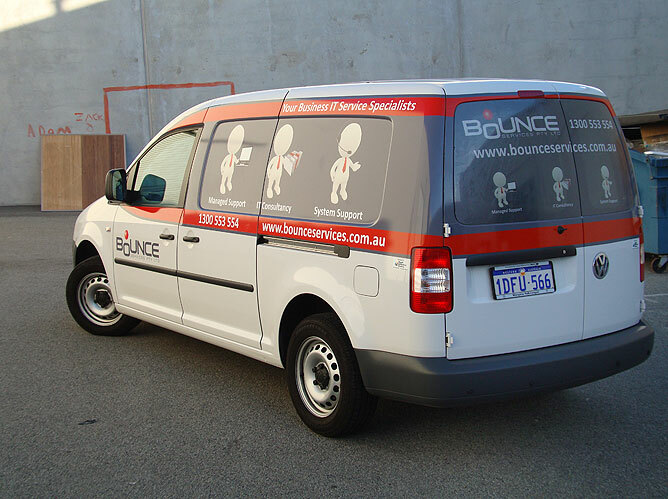 The rear window received Clear Focus – a one-way-vision film which allows you to see out, but still gives a large area for signage. 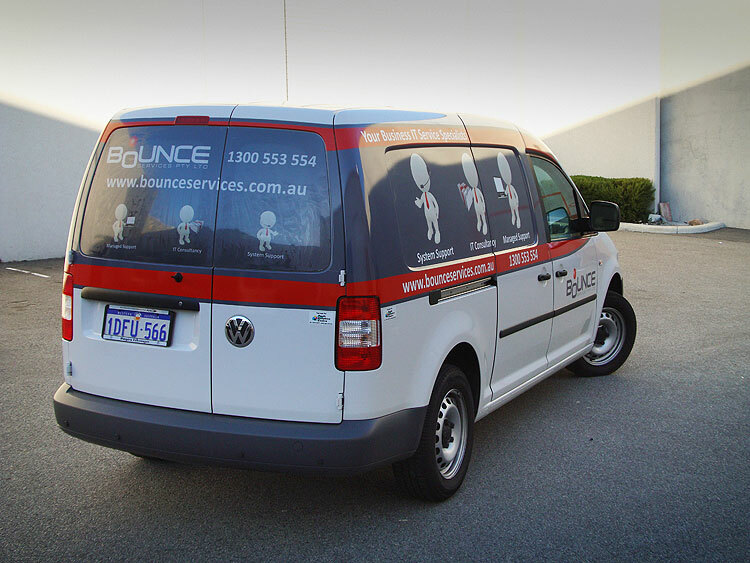 If you’ve got a Volkswagen Caddy which you require signwriting, then please call or email to ask for a quote. and do half wrap could u tell me rough price? are you guys doing design for me? how much is would it be?